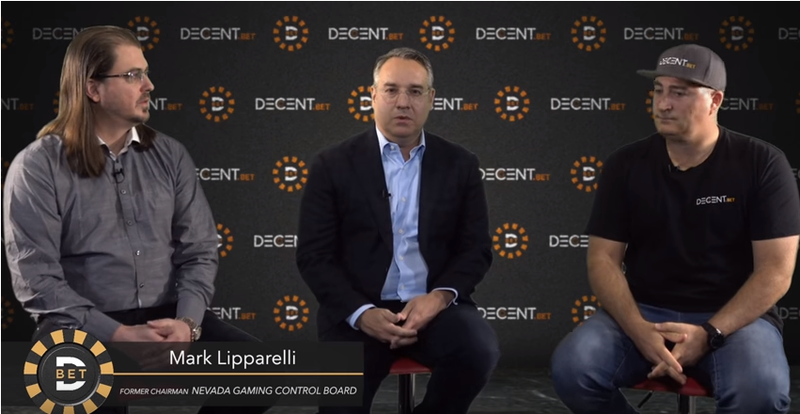 Former Nevada Gaming Control Chairman Mark Lipparelli will help steer DECENT.bet through regulated markets and provide compliance guidance in select jurisdictions. Over the past couple of weeks, we’ve made a lot of exciting announcements (at least we think so). We want to build the strongest team possible to help ensure that we’re successful and that your faith in us as a company is rewarded. 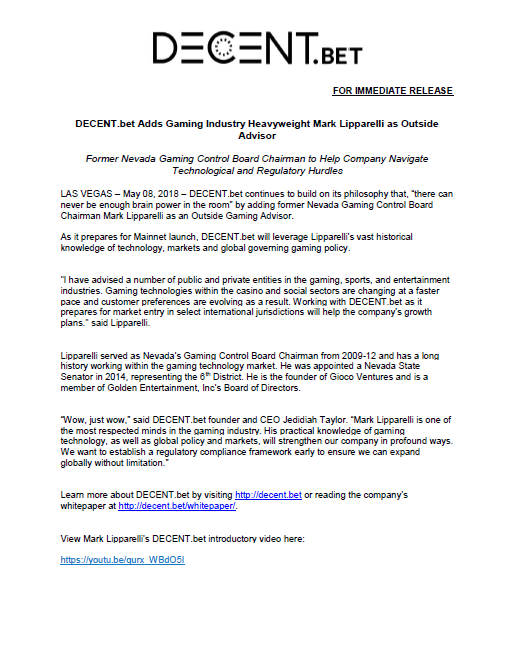 With that in mind, we’re thrilled to announce the latest member to join the DBET family: former Nevada Gaming Control Board Chairman Mark Lipparelli! Mark will serve as an Outside Gaming Advisor for us focusing primarily on: 1) market entry guidance in select international jurisdictions, 2) continued input on the company’s growth plans, and 3) ensuring we operate under the proper regulatory framework in each market. Lipparelli served as Nevada’s Gaming Control Board Chairman from 2009–12 and has a long history working within the gaming technology market. He was appointed a Nevada State Senator in 2014, representing the 6th District. 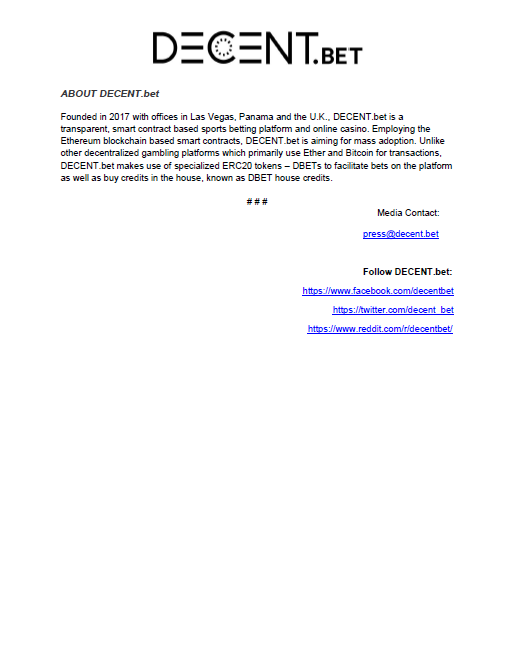 He is the founder of Gioco Ventures and is a member of Golden Entertainment, Inc’s Board of Directors.